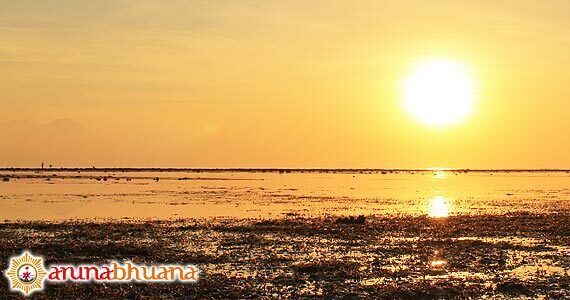 Three Gili`s in Lombok island with clean beach and amazing underwater experience. Also known as the three exotic island of Lombok which became one of the most favorite destinations of foreign tourists. From the island of Lombok, the journey to the Gili (Gili Air, Gili Meno, Gili Trawangan) will take about 30 minutes with Local boat. Price for 1 person to crossing by boat from Teluk Nara harbor or Bangsal port is quite cheap, only about USD 1 one way. There are many public facilities are complete in this tourist destination, including hotels and bungalows from standard to luxuries type of accommodations, restaurants, cafes, discos and bars, also other local facilities, market and kios/stalls. All the three Gili Islands, not allowed for any type of motorised transport. Bicycles, horse and carts in locally known as ‘Cidomos’ possible in this island. 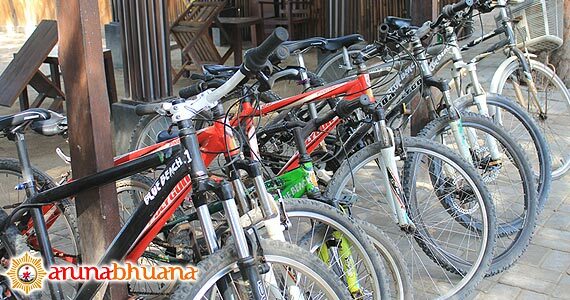 Bicycles can be rented from any of the stalls or your hotel and cost from around IDR 20,000 an hour, or better value by ask for the daily rate. 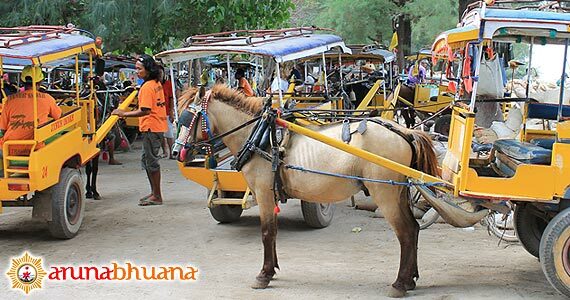 Cidomos (local horse and carts) are easily to find all over the islands but the price bit expensive. For those who want the cheapest one, by walking is cost nothing, sure you can go around the island for half an hour by walking. Is located in the western part of this islands has a clear sea water, clean white sand, natural coral reefs, as well as a charming variety of ornamental fish. 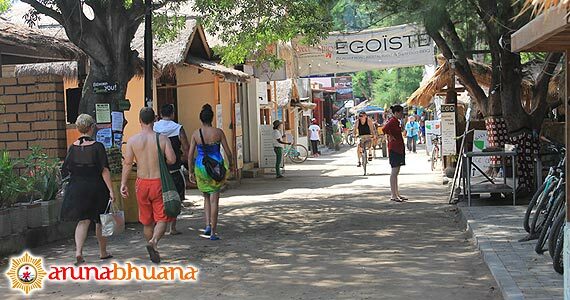 There are so many tourists who come to this Gili to enjoy the beauty of the beach with swimming, snorkeling, and sunbathing. Gili Trawangan is the farthest island. 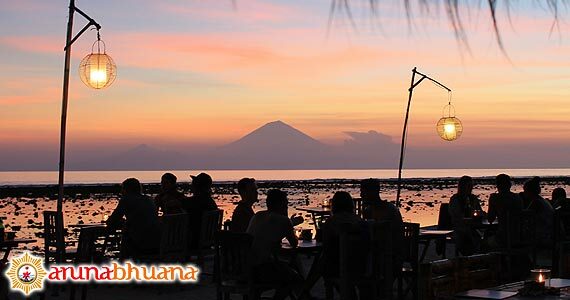 Many young people who come to Gili Trawangan because this island often held a beach party with music all the night. 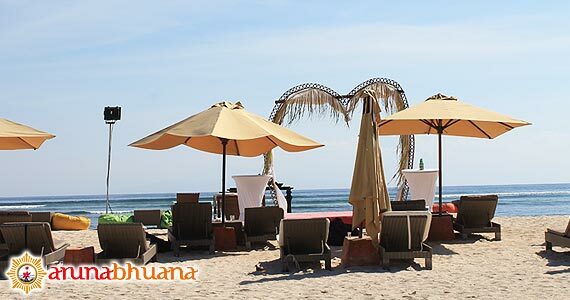 Is the right place to relax, for you who want to find tranquility and enjoy the atmosphere of the beach which is relatively quiet. The position of Gili Meno is located in the middle of these three Gili. In this island you can find now, is a Bird Park. Is closest to the island of Lombok. Many tourists come to Gili Air together with their families. Gili Air has a number of local residents are more than the other Gili. Similar with Gili Meno. 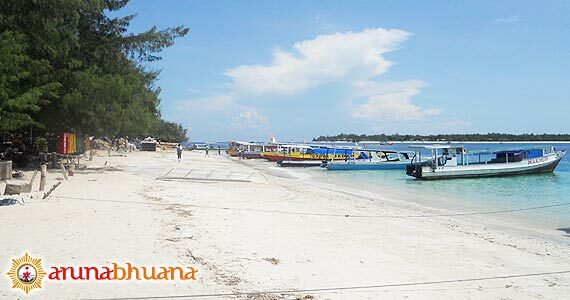 Gili Air has nice beach and clear water, good for you who want to Diving, snorkeling or maybe just swimming. From Bali, you can take a fast boat that available in Padang Bay harbor. 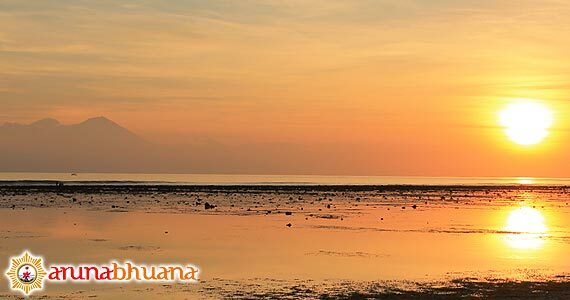 Approximately take 2.5 hours from Bali to Gili Islands, with transit in Senggigi or Teluk Nara Lombok. You have to make a reservation for the fast boat to Lombok, Gili Trawangan, Gili Meno, and Gili Air. Otherwise no seat available if you come directly. Also some company provide pickup transfer transportation to Padang Bai from where you stay in Bali. Reservation must be done at least two days before your journey. This valid also when you returning to Bali from Gili Trawangan or other Gili island of Lombok. 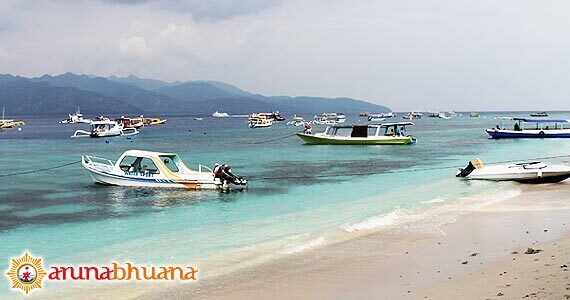 - Many companies that provide Speed Boat or Fast Boat to Gili Trawangan, Gili Air, Gili Meno Lombok, from Padangbai harbor. Such as : Mahi Mahi Dewata Fast boat, Gili Cat Fast Boat, Wahana Gili Ocean Fast Boat, Marina Srikandi 2 Fast Boat, Kuda Hitam Express, Semaya One Fast Boat, Eka Jaya 19 Fast Boat, Gili Cat 2 Fast Boat, Lombok Express, Gili Gili Fast Boat. The Price of one way trip is approximately USD 30 per person. - Other Fast boat coming daily from Sanur port Denpasar Bali to Gili Trawangan, Gili Air, Gili Meno Lombok. Such as : Super Scoot Fast Boat. 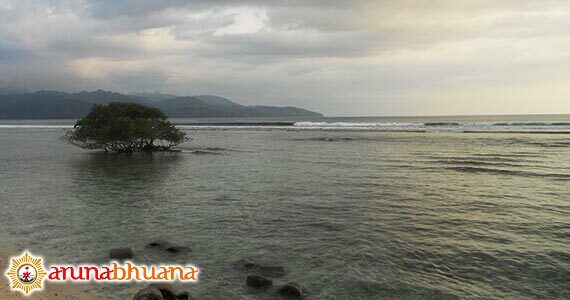 - There are some company that depart from Serangan Island Bali to Gili Island daily. Like : Gili Gili Fast Boat, Gili Getaway Fast Boat, Blue Water Express. 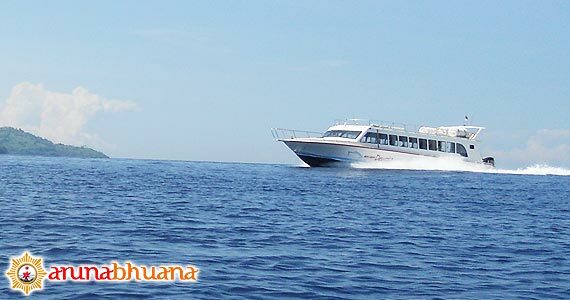 - Now, the Luxury Catamaran Bounty Cruise has a schedule daily trip to Gili Trawangan from Benoa Harbor. - Otherways, catch flight to Lombok from Ngurah Rai Airport Bali. And takes 5 hour from Airport to Teluk Nara or Bangsal port by driving. Sure will take long time to arrive in Gili Island. Perfect destinations for them who love beach activities.